Notice: Click here for an update on drain cover expiration dates. On December 19, 2007, the President signed into law the Virginia Graeme Baker Pool and Spa Safety Act. The Act specifies that on or after December 19, 2008, swimming pool and spa drain covers available for purchase in the United States must meet specific performance requirements. Additionally, public swimming pools, wading pools, spas and hot tubs must meet requirements for installation of compliant drain covers. A second main drain (at least 3 feet apart) may also be installed. Unblockable drains, according to the CPSC, may include a large aspect cover (at least 18″ X 23″), long channels that cannot be blocked by the body, or large outlet grates (at least a 29″ diagonal measurement). Homeowners, especially those with backyard pools or hot tubs, should be aware of this new Act as well. Click here to download a one-page fact sheet explaining the VGB Act as it relates to residential property. 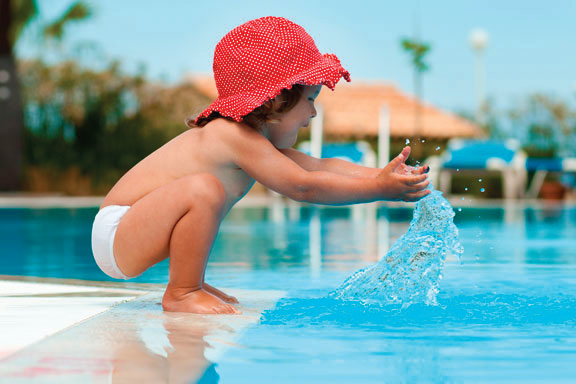 The CPSC has created a link on their website to educate families about the law, and can be found at www.poolsafely.gov. Click here to view the full text of the Virginia Graeme Baker Pool and Spa Safety Act. Replacement of main drain grate covers that are of the same size and dimension as the existing cover, with the CPSC approved covers will not require a plan review by ODH. Other alterations may be necessary to obtain compliance with the VGB Act. Any alteration, other than a main drain cover replacement described above, to a public swimming pool or spa requires a plan review by the Ohio Department of Health (ODH). Every pool and spa must be equipped with a means of preventing entrapment and evisceration. 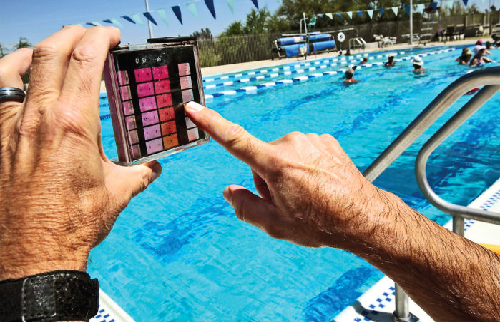 Pool and spa operators are encouraged to evaluate their pool and spa systems to determine what alterations are necessary for their pool and/or spa to be compliant with the VGB. Compliance is now based on the size of the drain opening and not the size of the drain cover used over the sump. 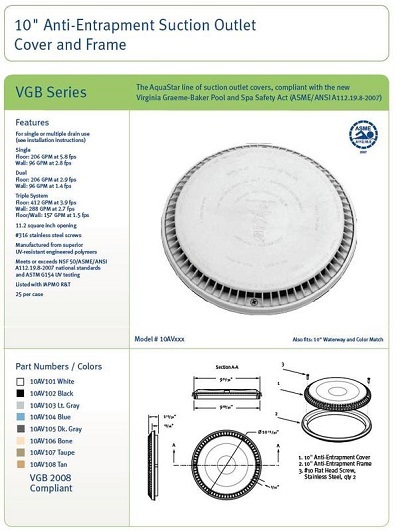 On April 6, 2010, the Commission approved an interpretation of the VGB Act’s definition of “unblockable drain” to include the installation of an unblockable drain cover over a small, blockable, drain suction outlet; thus eliminating the requirement of a secondary backup system. After discussion and stakeholder input, a second vote of the Commission revoked this 2010 interpretation. CPSC is not stating that unblockable sized drain covers should be removed from facilities that installed them on small single main drains. Rather, the Commission is directing pool and spa operators to add a back-up system or device. The Commissioners and the staff, in fact, recognize that unblockable sized drain covers are an advance in pool safety. Yet, layers of protection are an important principal that the VGB Act promotes.